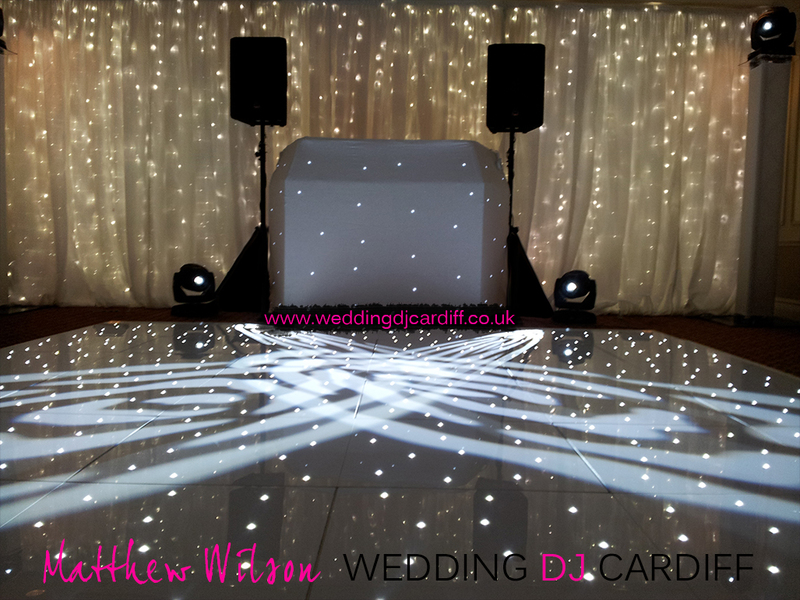 Our Starlit LED Dance Floor hire matches our Starlit Backdrop hire and Starlit DJ Booth perfectly. When ordering various parts from different suppliers, you can never guarantee that the white will be the same white – some companies use Ivory. 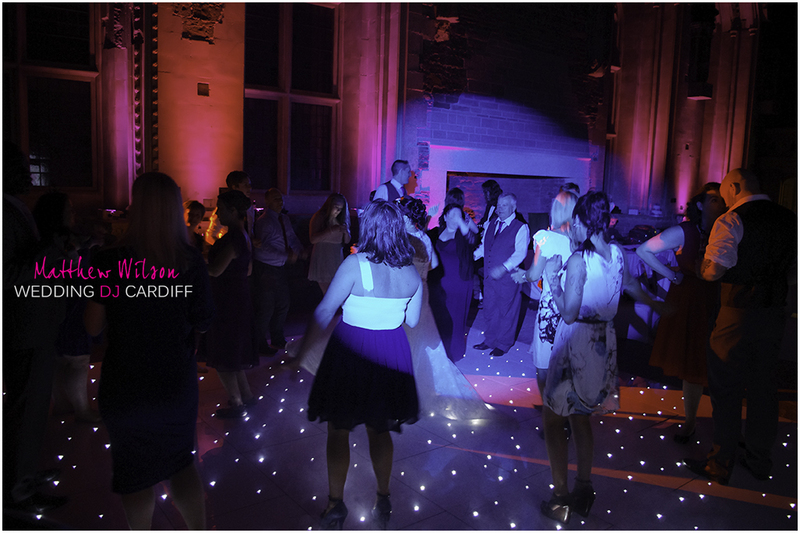 By using our LED dance floor hire and associated services, you are ensuring your wedding looks perfectly co-ordinated. 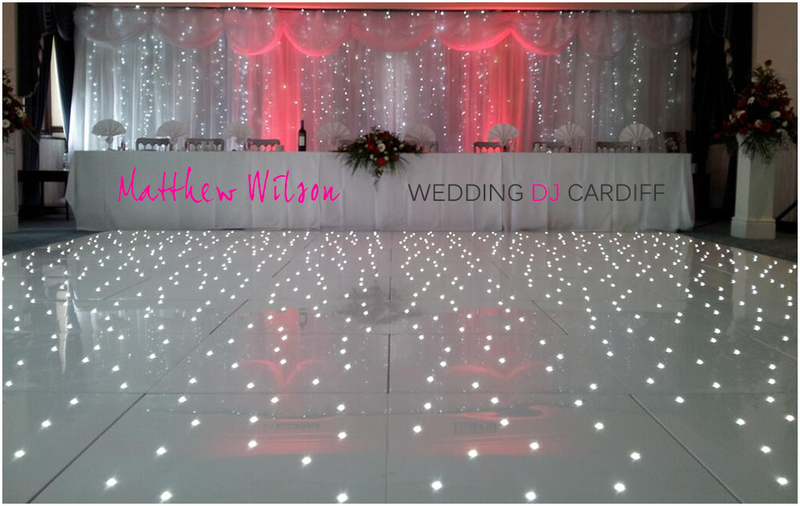 White Starlit LED Dance Floor Hire from £450. 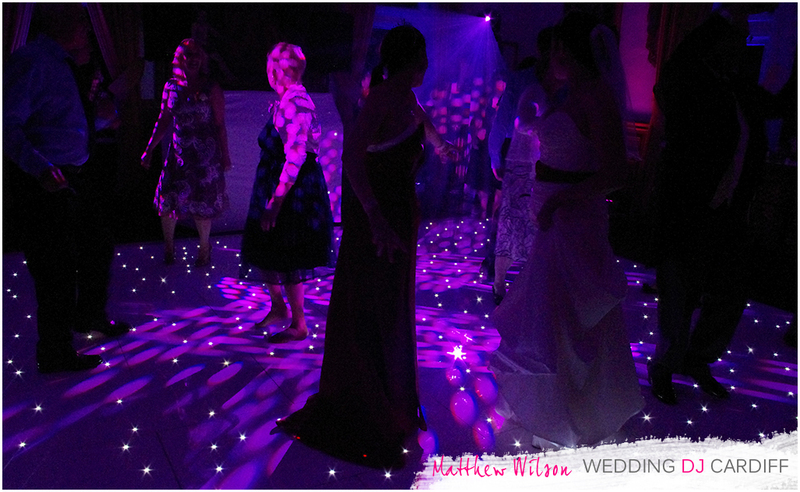 What will LED dance floor hire add to your wedding? 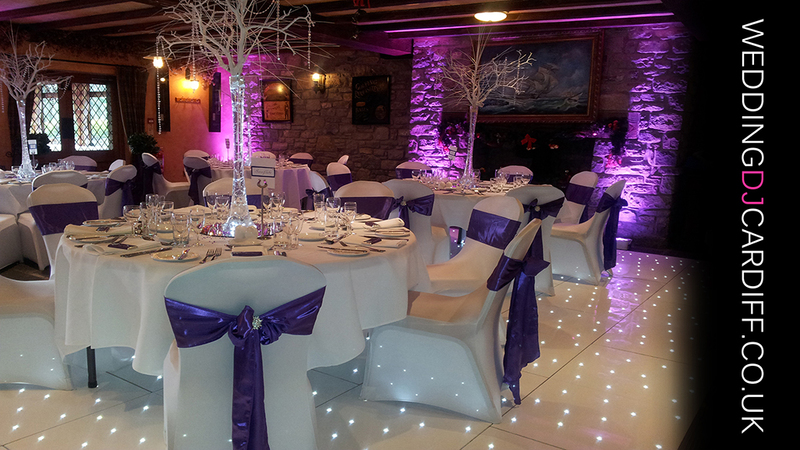 The dance floor hire is personal, beautiful and elegant. 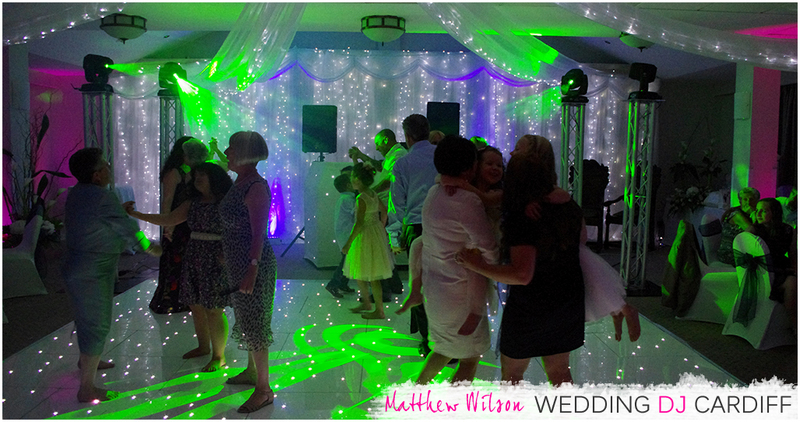 When you dance your first dance, the bright white LEDs will shine through the wedding dress. 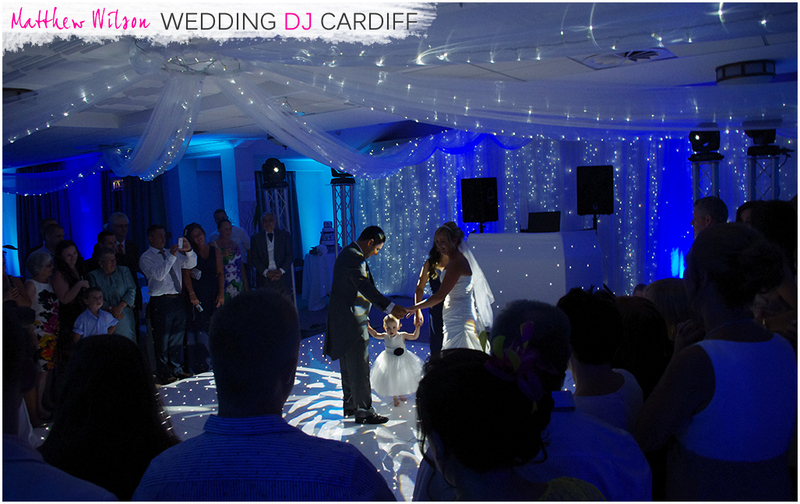 Pictures paint a thousand words, so here’s some photographs of Wedding DJ Cardiff’s starlit dance floor. The only other thing to consider is your venue. Not all venues have the room for our larger dance floors, so let us know where you’re getting married and we can advise you on the size LED dance floor hire you will need. Our portable LED dance floor is set up within an hour, the larger dance floors include extra staff required to reach this time constraint. 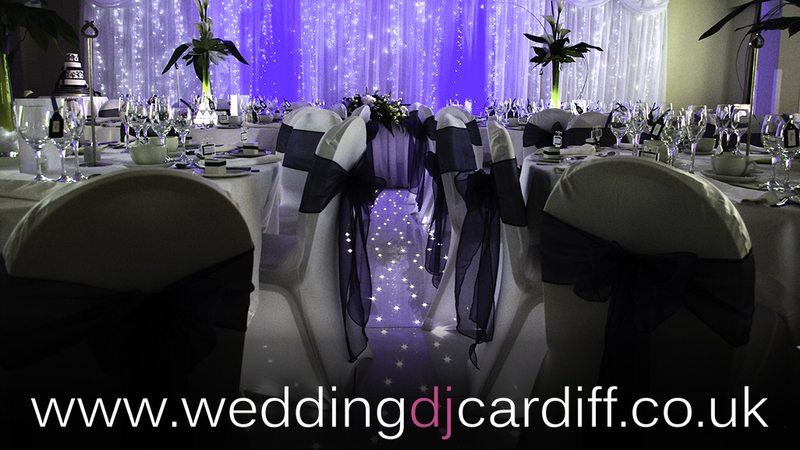 Most wedding venues in South Wales permit a one hour room turn around period for weddings holding the breakfast and reception in the same room.